Being a Scentsy Family Consultant allows you to have a flexible schedule and set your own goals. No matter what your background is or how many hours you wish to work, you can have a successful business that fits your lifestyle! 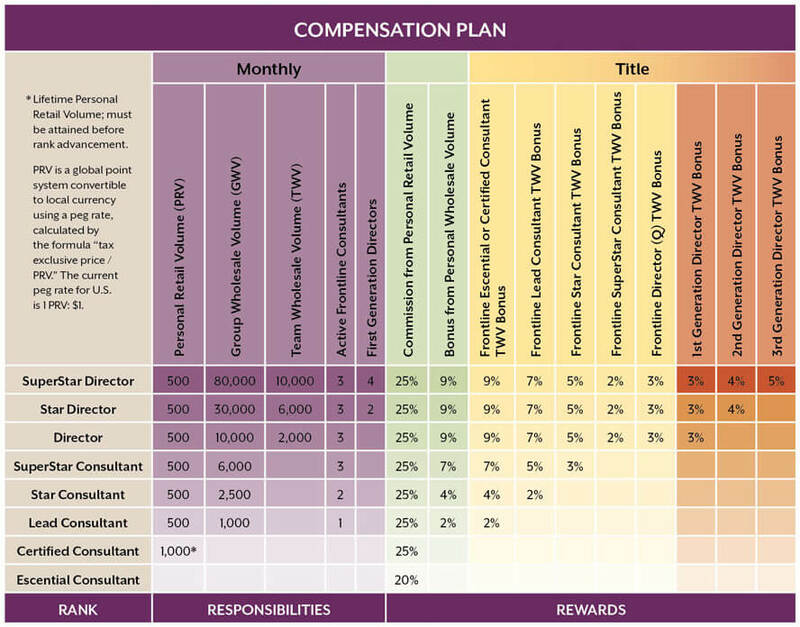 Scentsy Family’s Compensation Plan offers commissions on personal sales and leadership bonuses as you build a team. 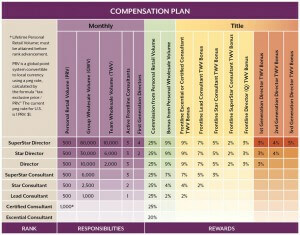 For detailed information on Scentsy Family’s Compensation Plan, go to the Training Center on your Workstation. To determine the percentage you will be paid on your commission and bonuses, first determine your rank for the month, then look across the chart to find the title held by your Frontline Consultants. You are paid according to your own rank and the title(s) of the Consultants in your frontline.